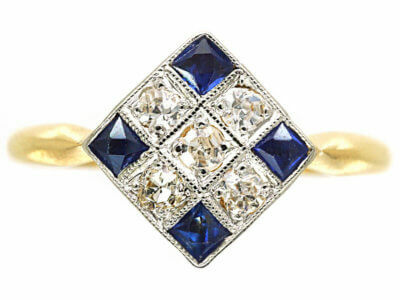 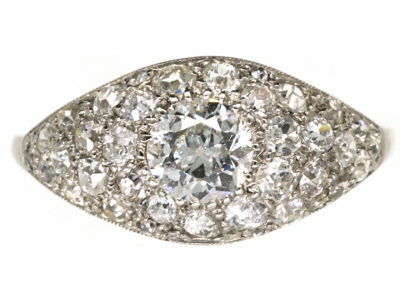 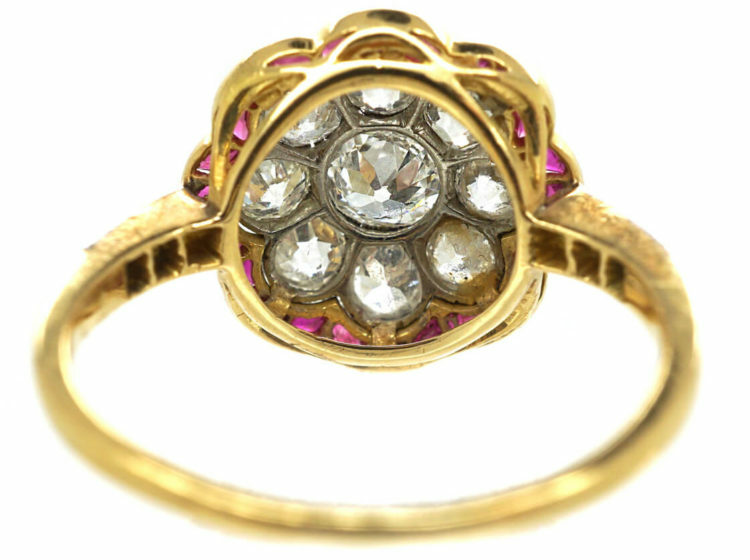 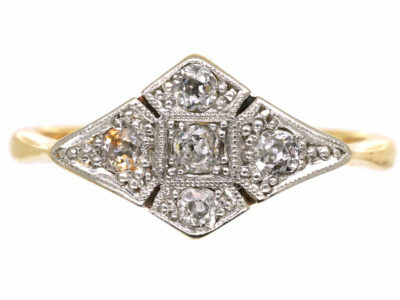 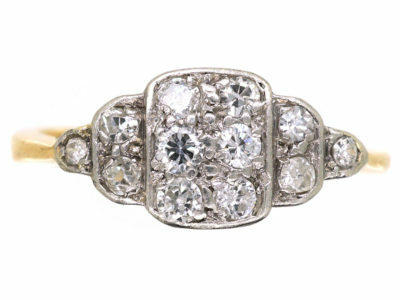 A wonderful Art Deco ring that was made circa 1920. 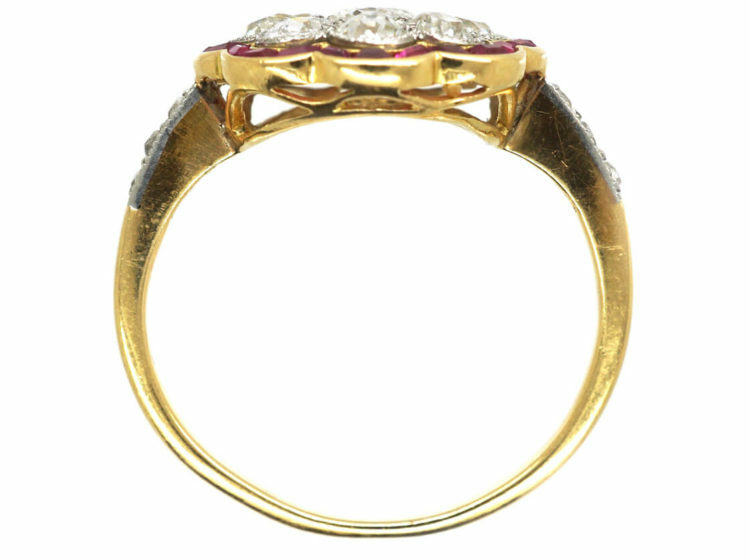 It is so beautifully made with careful attention to detail. 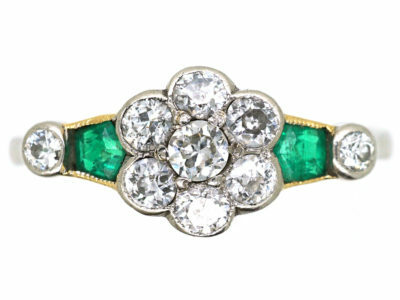 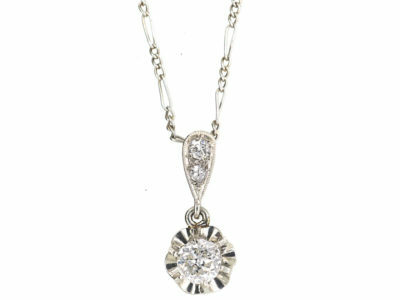 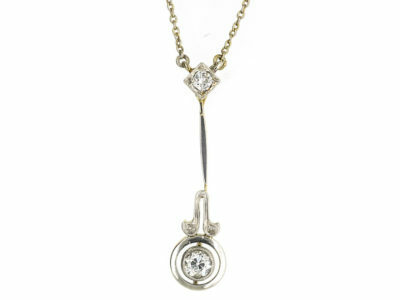 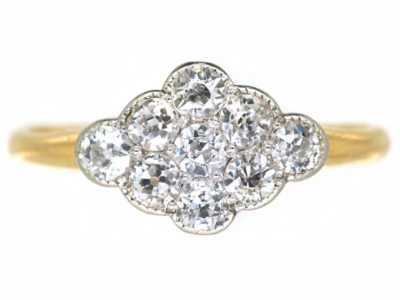 The top is a daisy cluster of well matched white diamonds set in platinum with a millgrained edge. 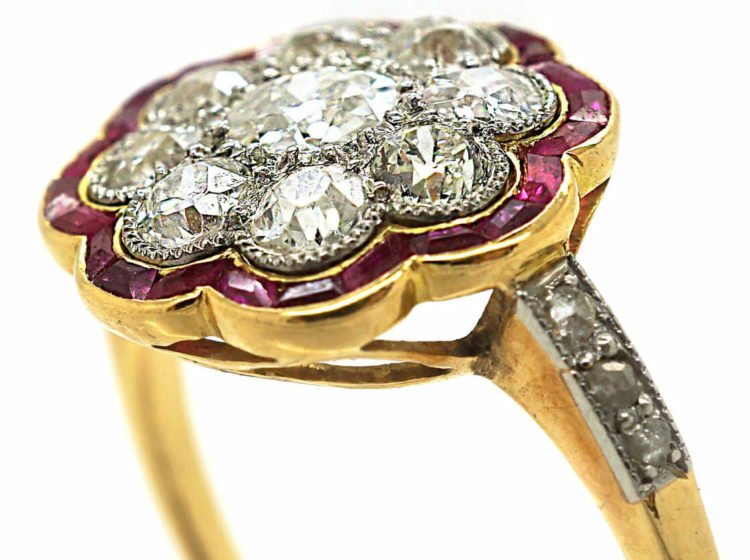 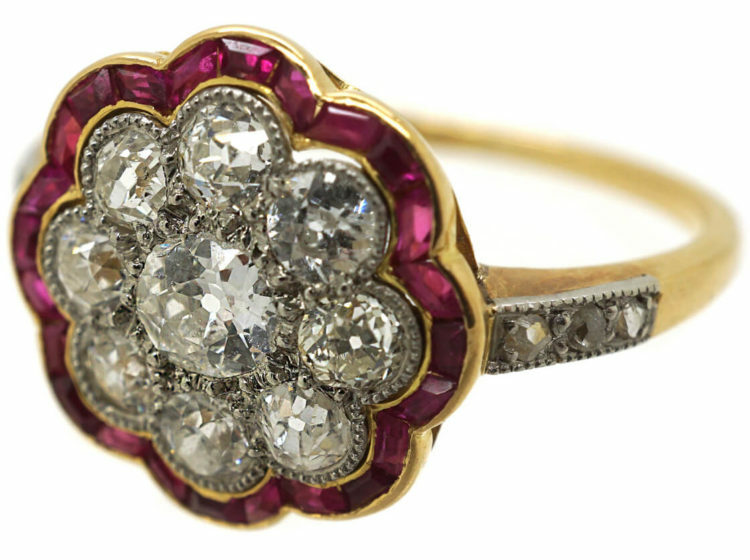 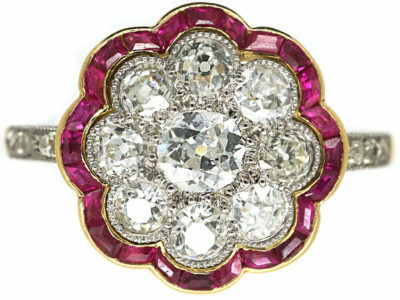 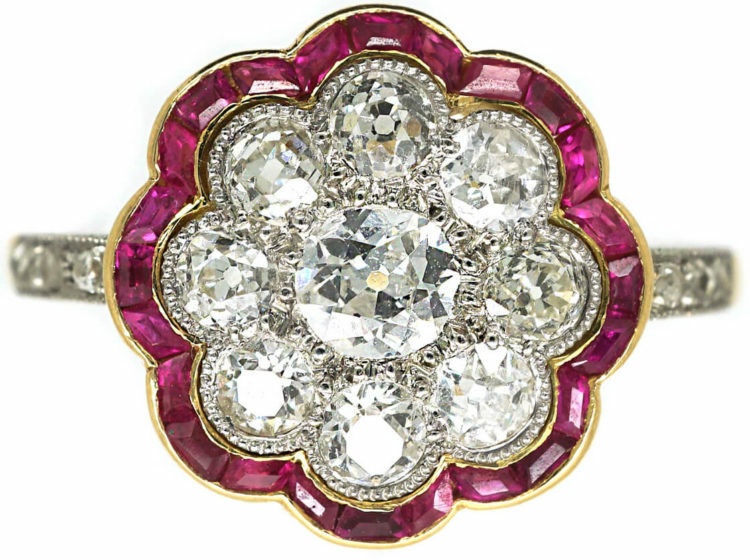 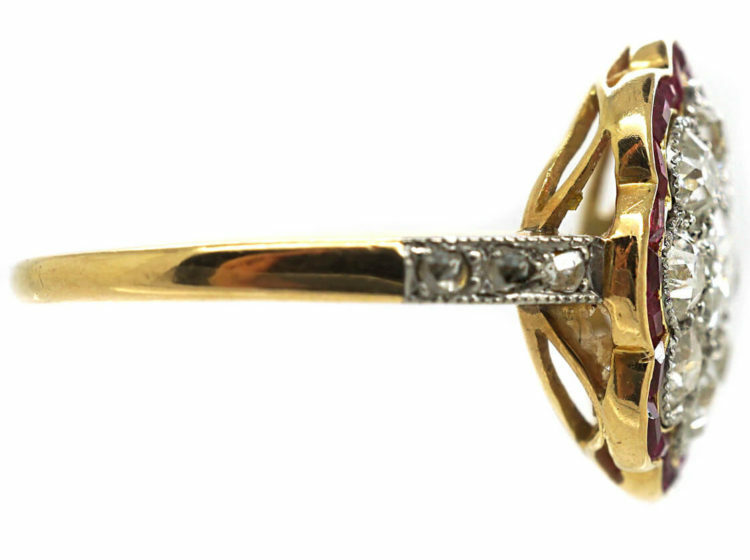 Around the cluster is a scalloped design set with shaped cut rubies in a yellow gold setting. 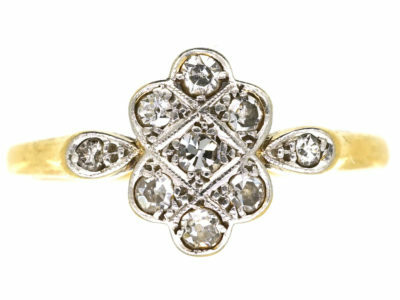 The shoulders have three rose diamonds on either side. 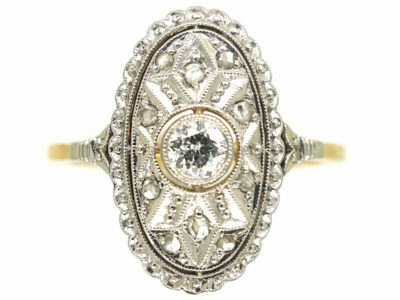 It sits low on the finger so it would be an ideal choice for an engagement ring, as it is not only beautiful, but practical to wear. 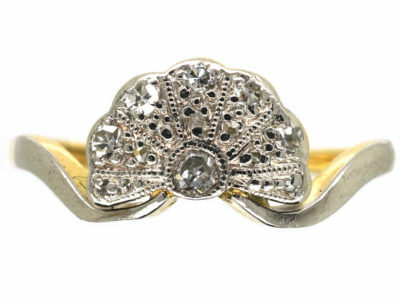 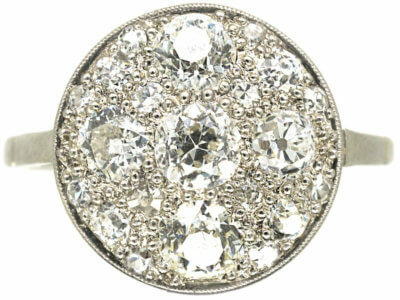 I totally love this ring!